Ray Palmer (b. Little Compton, RI, 1808; d. Newark, NJ, 1887) wrote these words while employed as a teacher at a private girls' school in New York. He had experienced a difficult year of illness and loneliness and was inspired to write this verse one night after meditating on a German poem that depicted a sinner kneeling before the cross of Christ. He later stated, "The words for these stanzas were born out of my own soul with very little effort. I recall that 1 wrote the verses with tender emotion. . . . When writing the last line, "O bear me safe above, a ransomed soul!" the thought that the whole work of redemption and salvation was involved in those words. . . brought me to a degree of emotion that brought abundant tears." Palmer jotted the text into a notebook, which he shared two years later while visiting with the composer Lowell Mason (PHH 96) in Boston. 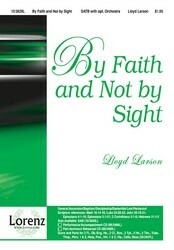 Mason's prophecy that Palmer "will be best known to posterity as the author of 'My Faith Looks Up to Thee' " has certainly come true. A hymn of prayer, this song asks for forgiveness (st. 1), for purity of love (st. 2), for divine guidance (st. 3), and for safe homecoming into glory (st. 4). Stanzas 1 and 2 are popularly judged the best and the most useful. The gloom of stanza 3 is similar to some Old Testament laments. 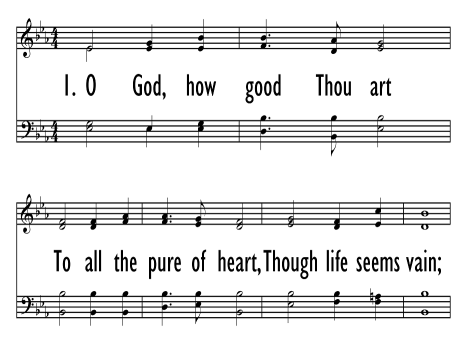 The Psalter Hymnal Revision Committee altered stanza 4 to capture a more Reformed theology. 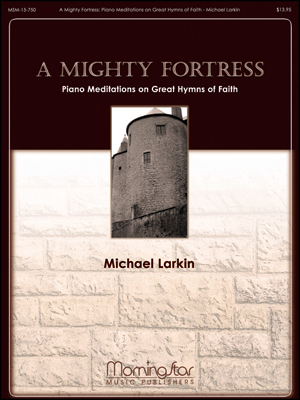 Palmer is often considered to be one of America's best nineteenth-century hymn writers. After completing grammar school he worked in a Boston dry goods store, but a religious awakening prodded him to study for the ministry. He attended Yale College (supporting himself by teaching) and was ordained in 1835. A pastor in Congregational churches in Bath, Maine (1835-1850), and Albany, New York (1850-1865), he also served as secretary of the American Congregational Union (1865-1878). Palmer was a popular preacher and author, writing original poetry as well as translating hymns. He published several volumes of poetry and hymns, including Sabbath Hymn BookHymns and Sacred Pieces (1865), and Hymns of My Holy Hours (1868). His complete poetical works were published in 1876. Stanzas 1 and 2 are most useful in the service of confession and forgiveness–stanza 1 can initiate the confession; stanza 2 can be a response to words of forgiveness and assurance. Stanzas 3 and 4 are prayers for guidance as the Christian continues the pilgrimage toward glory. Lowell Mason (PHH 96) composed OLIVET in three-part harmony for Palmer's text; the two were published together in Spiritual Songs for Social Worship (1831). Mason, who often assigned biblical names to his tunes, named this tune for the Mount of Olives. OLIVET consists of a long line followed by two slightly shorter ones; the last line descends from an initial climax. The harmonization is straightforward: sing it in parts, perhaps without accompaniment on the inner stanzas.